Her first trip abroad, to South East Asia, kindled a life-long fascination with the region. Her first graduate degree, an interdisciplinary Master of Arts Degree in Asian Studies undertaken in Hong Kong, gave that fascination a scholarly grounding, and its interdisciplinary approach continues to inform her work in the region. 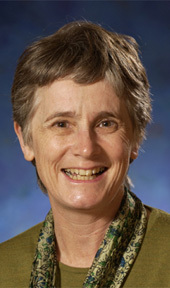 In her career as a legal academic, Professor Kneebone has worked and travelled extensively in Asia, as an initial focus on Australian refugee law broadened to include the region of which it is a part. Professor Kneebone is an expert on forced migration issues, with a particular focus on South East Asia. She serves as the Secretary of the International Association for the Study of Forced Migration, and is the founder of the Asia Pacific Forced Migration Connection (APFMC). APFMC, launched in London in 2013, serves as an international hub for scholars, policy makers, and NGOs on issues of refugee law, human trafficking, labour migration, and forced migration in the Asia Pacific region. APFMC hosts regular workshops on developments in these areas. The most recent workshop, held late last year on 'Forced Migration and Human Rights Protections in the Asia-Pacific Region', was attended by academics, researchers, UN officials and representatives of NGOs. Professor Kneebone anticipates much activity on the horizon for APFMC, aided by its association with the ALC, which Professor Kneebone describes as unique amongst Australian universities. At Melbourne, Professor Kneebone will also continue her research activities, particularly an ARC project on the regulation of international marriage migration. She will also continue to travel and research in Asia. While collaboration with local academics in some countries is sometimes hampered because of political sensitivities associated with her research projects, she has been heartened by the fact she has been privately approached by researchers in the region to assist in her work. Overall, she describes her time researching in Asia as both a pleasure and a privilege—a privilege, most of all, because of the access she has to the ordinary citizens and civil society groups in the countries she visits. The heartrending and personal insights they share with her inform and inspire her work.